Only Two months remain for 2010, Year of The Tiger. Next sign of zodiac cycles would be Rabbit. I have just received a small stature of next sign from Kyoto today. 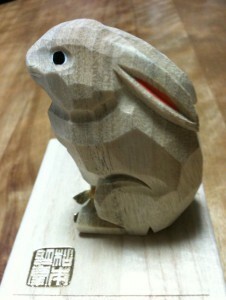 Here is the rabbit stature which was manufactured by a famous workshop of a Buddhist sculptor, Myokei Matsumoto.